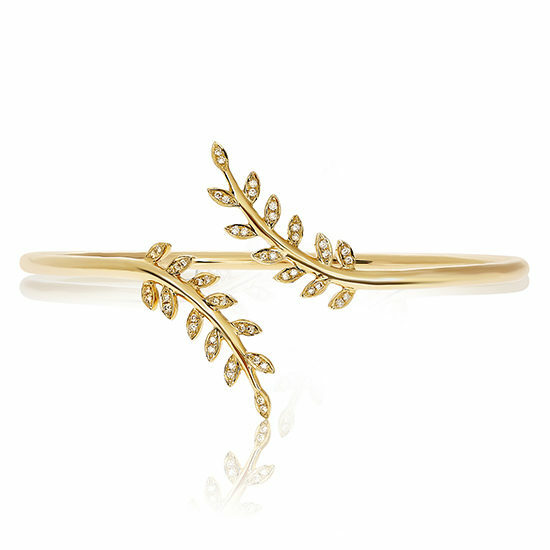 Cuff bangle in 14k yellow gold in leafy pattern with pave set diamonds. This cuff bracelet contains 0.18 carats of G colored diamonds. 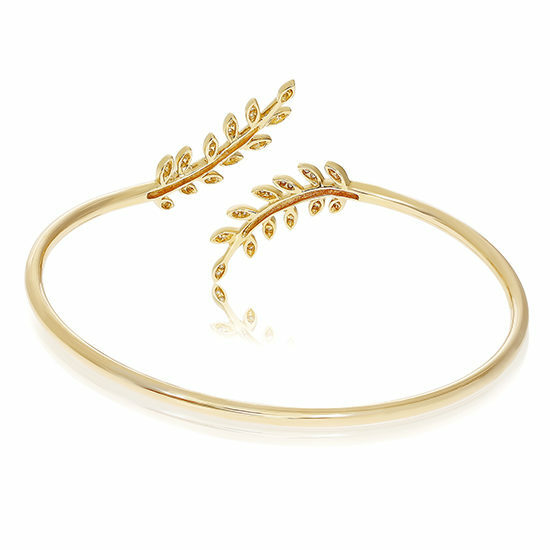 Delicate, feminine and classically elegant this yellow gold and diamond cuff bracelet is reminiscent of ancient Roman olive branch motifs.